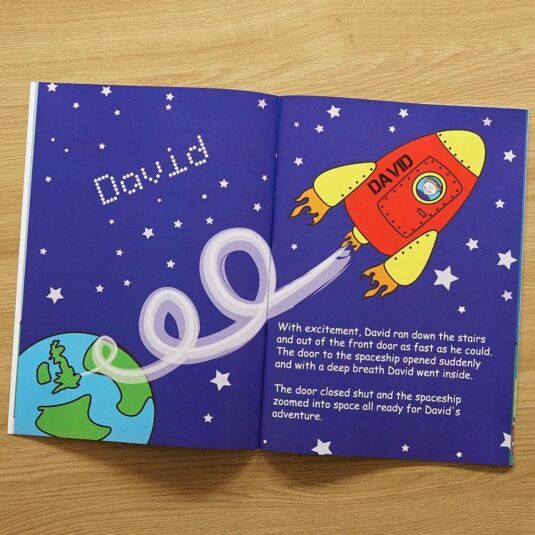 This is a wonderful way to make a child feel really special, a book which actually features their name printed throughout! 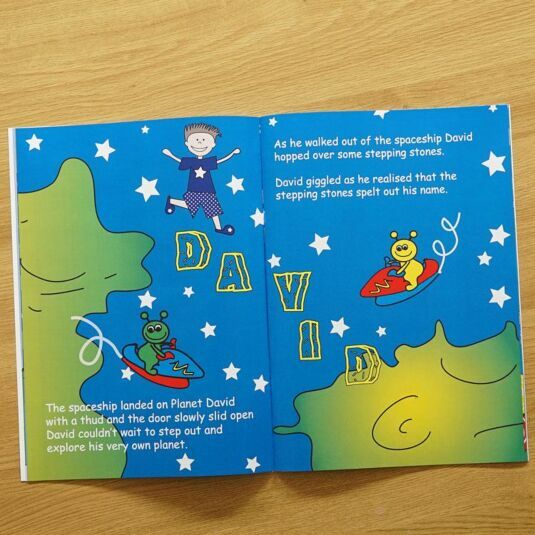 A fantastic gift for any child with an active imagination, this personalised story book features the child’s name as the main character, not only within the story but as part of the illustrations. 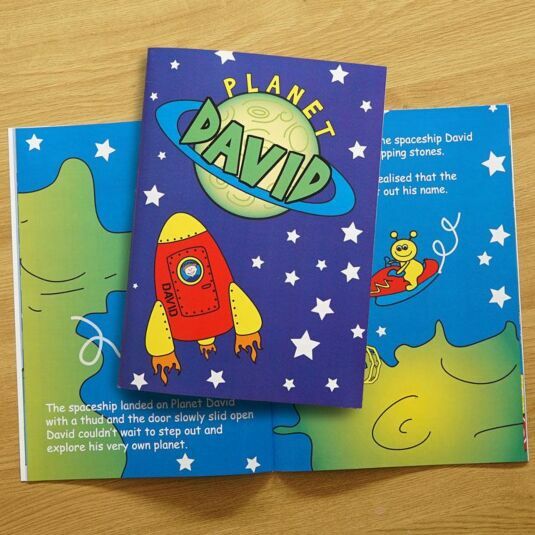 This book is aimed at little boys and features colourful illustrations with plenty of aliens, spaceships, stars, and, of course, a strange planet! Both the name of the sender and the child’s home town also feature within the story making it extra special and personal. There is an additional space for a dedication inside the front cover of the book. Add the child's name, with a maximum of 12 characters. Add the sender's name, with a maximum of 12 characters. This appears in the story as a single name or role - please do not use surnames or for example ‘The Riley’s’. Add the child's hometown, with a maximum of 20 characters. 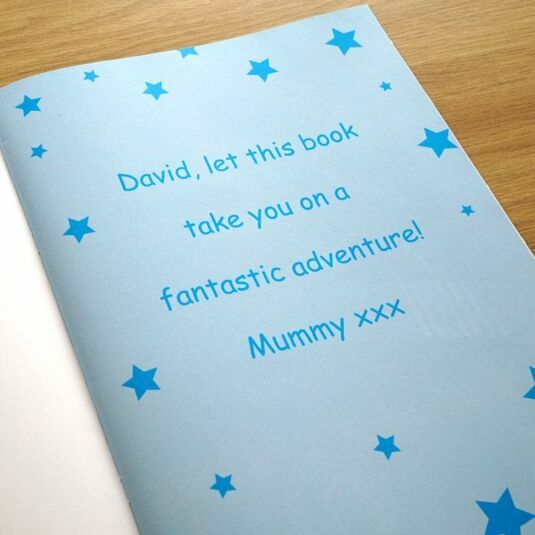 Add a message across 4 lines, with a maximum of 20 characters per line, to appear inside the front cover of the book.